I sure am ready for this break, it’s been such a busy time around the blog lately! The Ornamental Things giveaway ended this morning and I will be verifying the winner and sending them an email. I want to thank everyone that entered and made my very first self-run giveaway an amazing success. I was completely blown away at getting over 1000 entries, thank you! Even if you didn’t win, I hope you got some great gift ideas from all of us for the holidays. Talented Tuesday is up and running this week so link up your creations for the week and check out our features! 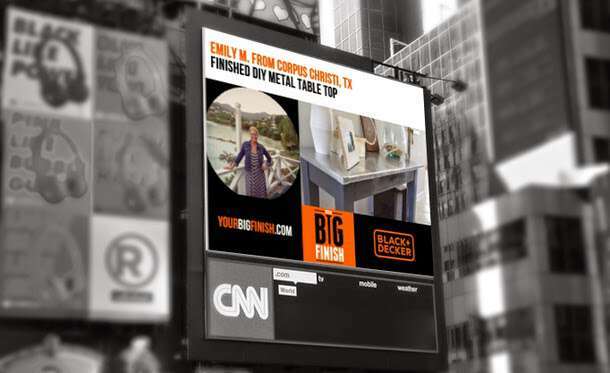 And as a nice send off for the holiday, I found out that my DIY metal table top will be featured on a billboard in Times Square for the Black & Decker #YourBigFinish campaign!!! Isn’t that crazysauce!! If you’ve got a great project (or projects) you’ve completed, make sure and submit them here and you could be up there with the rest of us! 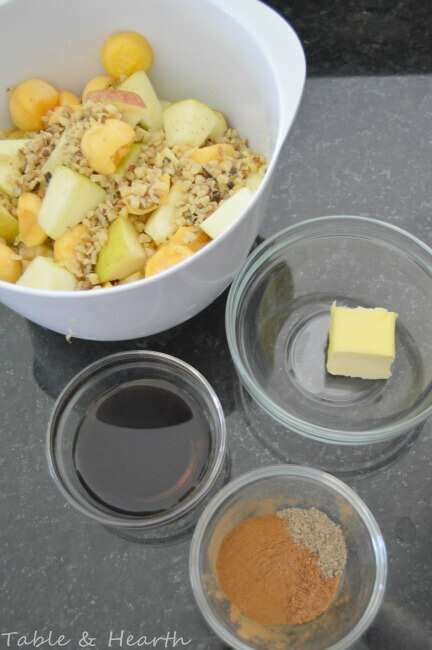 So, to wrap it all up this week, I wanted to share a very fall-worthy quick recipe with you guys, this Acorn Squash and Apple Skillet that my amazing aunt created. I think this would be a great little dish to make for a lighter dessert or breakfast over Thanksgiving weekend, or even for Thanksgiving dinner itself if you didn’t have a chance to do something fancy! I used a melon baller to “cube” my acorn squash since they can be so hard to cut. A butternut squash would also work well or any of the winter squashes that get nice and sweet when cooked. For my spices, I chose to use cinnamon, nutmeg and cardamom, cause we all know I love me some cardamom. It smelled absolutely amazing. 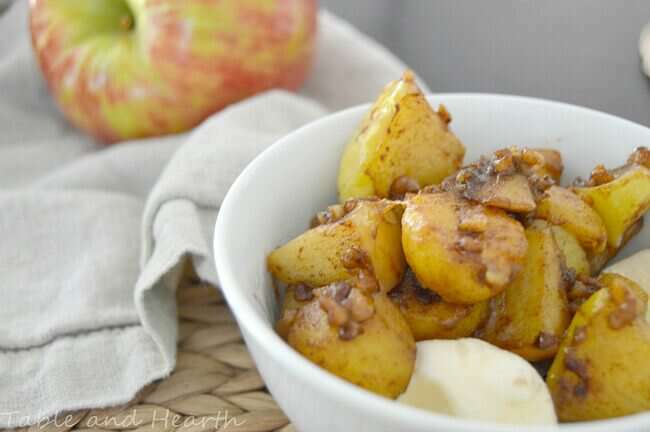 Try to find Honeycrisp apples for this, they’re pretty much the best apple ever on the face of the Earth. They’re huge, super juicy, and have immensely more flavor than any other variety in my experience. If you can’t find honeycrisps, go for some other non-red-delicious variety. But seriously, honeycrisps. Although you northerners probably have some dang good apples that you know of! 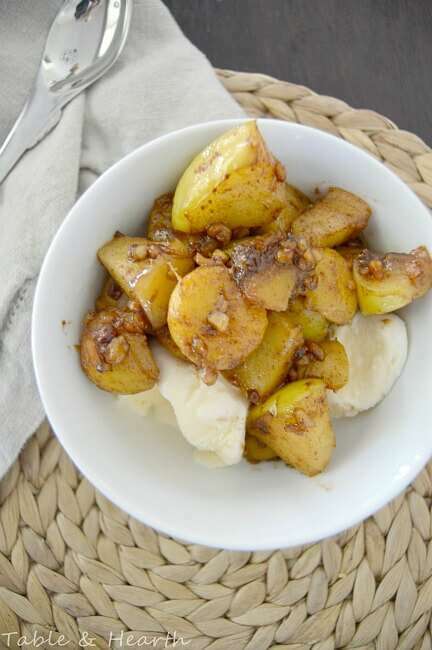 I’m not usually a fan of nuts in my desserts but when they get cooked with the fruit, they get nice and soft and soak up all the buttery goodness. As per usual, I served mine warm with some Blue Bell vanilla ice cream and it was almost like a deconstructed cobbler. But I think it’d also be really good with fresh oatmeal and maybe even yogurt for breakfast. It could probably be used as a cobbler filling too, actually. Thanks for linking up to Pin Worthy Wednesday, I have pinned your post to the Pin Worthy Wednesday Pinterest Board. 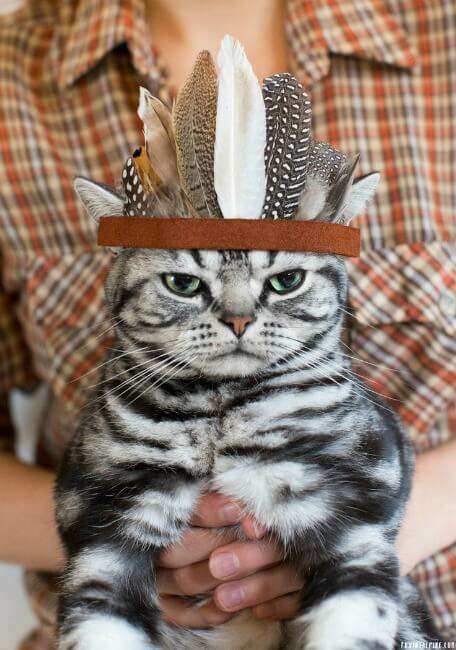 I love the cat :) And I will definitely try this recipe. Yes, thank you! I’m sure it’ll only be for a millisecond :) I submitted like five projects and got the email for this one right away. You should definitely enter your office!!! That recipe looks delish! Definitely pinworthy! Hello! 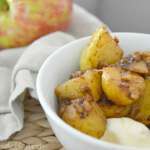 I can’t wait to try your acorn and apple skillet recipe ;) pinned! Found ya via Avery design blog link party! YUM! Definitely adding this to my hit list. 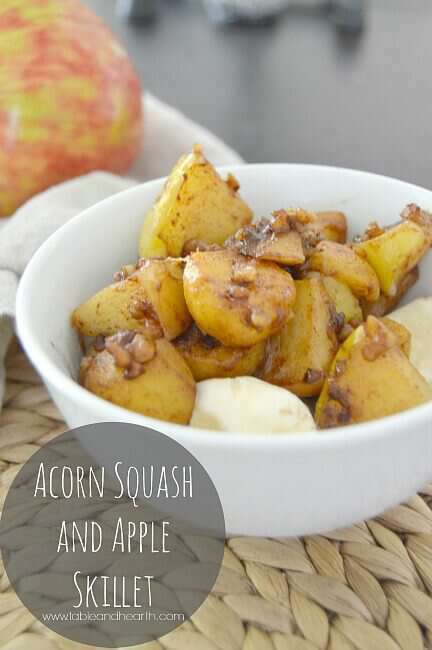 Love finding new sweet and savoury uses for squash. Stopping in from Think & Make Thursday linkup! Yay! Thanks so much Diana! !